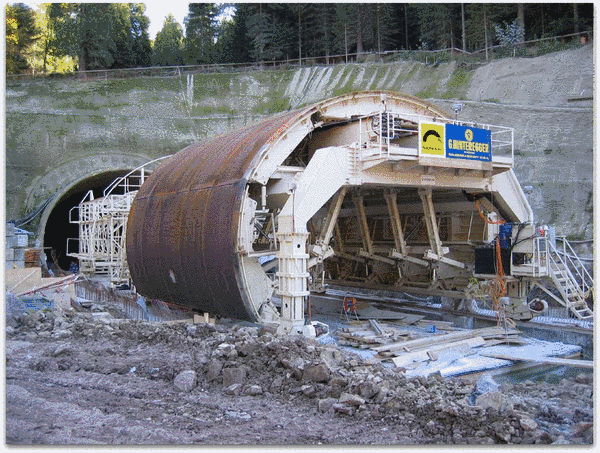 TILOS software possesses a number of special functions for tunnel builders that make planning easier while delivering even more data. The image depicts the two main tunnels as planned and connector tunnels that are built for safety purposes. 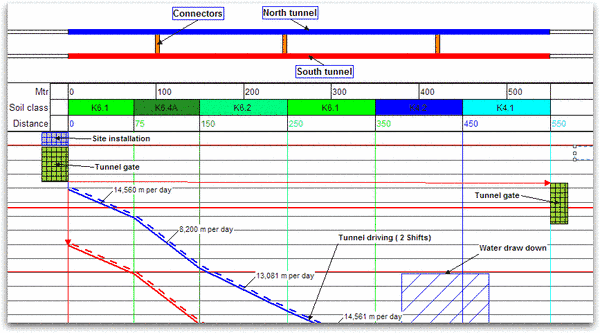 The colored column in the middle of the chart shows the different soil classes that also determine the speed of the tunnel drilling process. The tunnel drilling tasks match the colors in the chart. Different speeds are applied based on the soil classes. If the tunnel is beeing drilled from both sides, TILOS has a special function to calculate the meeting point based on the speed of each crew. For safety reasons, a time value can be applied so that one crew stops working before the other crew reaches the meeting point. 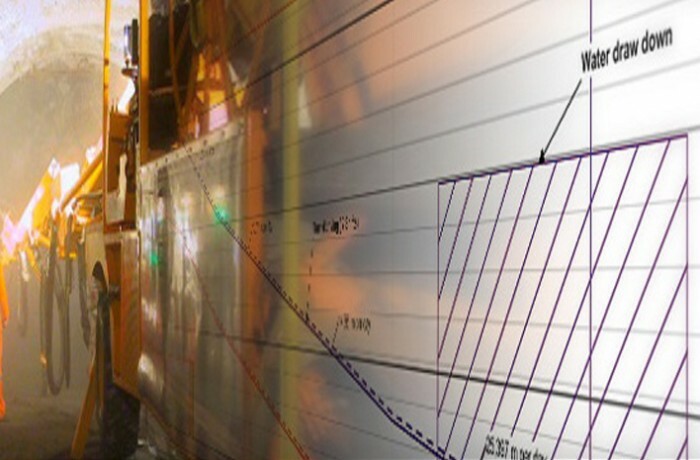 The tunnel shuttering can be displayed as a single task, that is shown in steps correlated to the length of the shuttering wagon. For each segment, a different duration can be applied to reflect the setup time at beginning, the end and at the connector tunnels. The Burgholztunnel consists of two tubes approximately 1800 m long. Baresel AG Stuttgart, NL Tunnelbau and the G. Hinteregger & Söhne Baugesellschaft m.b.H., Salzburg were awarded the construction of this tunnel as a joint venture. The initial march-charts for this project were created using a CAD system, but the effort required to change and update the plan were so big that a decision was made to use a professional tool for this project. This is a prime example of how a project can still benefit from switching during construction, especially when monitoring progress and the effect it has on the remaining work. This TILOS chart is divided in 3 major sections: To the right and left of the main working area the construction engineers set up the west and east portal phases such as construction site installations, earth and road works etc. and important contractual data like milestones. This is done using the TILOS Gantt chart technology. In the center section, the activities are shown as lines indicating the speed of the processes. Layer technology was applied to obtain an overview of the planning stages. The first layer contains the official proposal put forward by the Regional Office for Highway Construction in North Rhine Westphalia. It relates to all phases such as driving the crown, bench, and cross-passages, the permanent lining, drainage/carriageway superstructure etc. that are coded in grey in different line presentations. The schedule planned by the JV is added on another layer. The actuals and the remaining program are added as well on another layer. TILOS allows for the switching on and off of layers on the fly, so target/actual comparisons can be carried out by the stakeholders or the JV consortium at any given time.